The internet is full of car lift reviews from businesses, bloggers and even car forums. ​A review of the top vehicle lifts for home garages, such as the excellent critical review by Pickup World, should provide detailed analysis of the lifts in question. The very best reviews will also provide clear pros and cons, as well as highlights of the most important safety features. 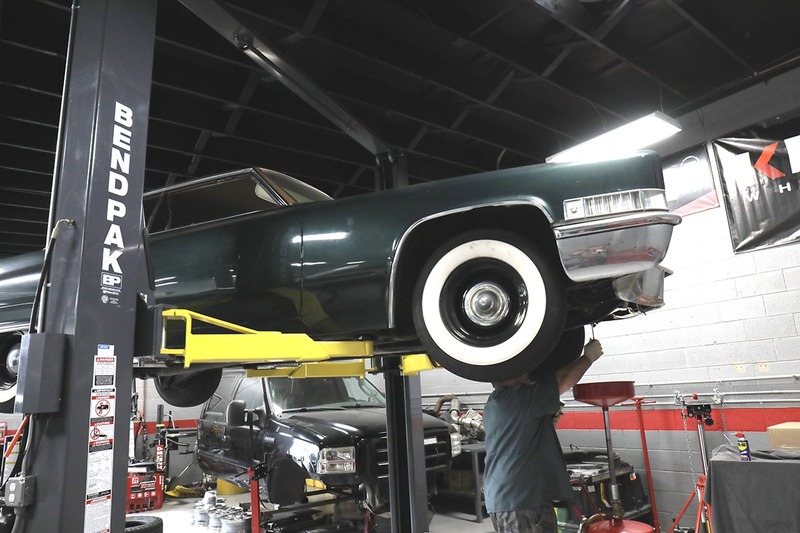 To get you started, this article explores some ways to find the best car lift reviews. Alltopguide published the Top 5 Best Portable Car Lifts in 2018, and we're happy to see BendPak's 6,000-lb capacity MD-6XP mid-rise scissor lift made the list as the #1 overall portable car lift. It's actually the only BendPak on that list, yet we're surprised our incredibly popular and well-received QuickJack was excluded from this particular ranking. All the same, you can't beat first place in someone's "best car lift review." The article notes how easy the MD-6XP is to move around, as well as its overall strength, efficiency and variable voltage configurations. The only "con" listed is price, which is not necessarily a bad thing. When you think of BendPak, we want you to know you're getting the best value in the industry, but we don't want you to think of a "value" lift in terms of it being cheap. In other words, value sometimes implies that sacrifices had to be made in the safety, quality, warranty and/or level of customer service, none of which apply to BendPak. If getting the best portable lift means you pay a little more for a better, longer-lasting product, as well as excellent customer service, then we promise BendPak has as much value as you can wrap your head around. 365daysreview has an article called the Top 8 4 Post Car Lifts 2017 Reviews, which we're happy to say includes three BendPak lifts. While other lifts are rated as "difficult to install," BendPak's sole knock against it, at least according to the site, is price. Like any designer fashion piece or high-end sports car, you're paying a bit more for our attention to detail and quality. You save more in the long run when you go with BendPak, and our customers regularly attest to that fact. The majority of reviews of the best car lifts include BendPak as the best possible choice for a reason: our quality, durability and longevity are more important factors than price alone. In fact, BendPak consistently takes the top spot on these lists, including this cherry ranking as the best four-post lift. ToolGuyReviews offers another awesome review of two-post lifts, the Best 2 Post Car Lift Reviews in 2018, and it features two BendPak lifts. The reviewer of this article actually features the XPR-10 two-post lift twice, once in symmetrical configuration and once in asymmetrical configuration. There's no "better" option between the two; if you prefer center-loading, get symmetrical, and if you prefer a little more door clearance, go with asymmetrical. It's interesting to note that the XPR-10 series and MD-6XP (listed above) are two of our most commonly purchased and talked-about lifts. We're not surprised to see professional reviewers name it as the best two-post lift. BendPak offers a great read on how to get true Value when buying a lift. Number 15 on that list is "Sign up for car forums and see what people are saying." The GarageJournal forum has enough user reviews of auto lifts and garage equipment to keep you occupied for hours. We prefer GarageJournal to many other threads because the audience is respectful, knowledgeable and has no patience for "trolling" or ranting for no reason. All vehicle types, garage sizes and income levels are found here. When it comes to cars and garages, this is where the educated come to get educated. 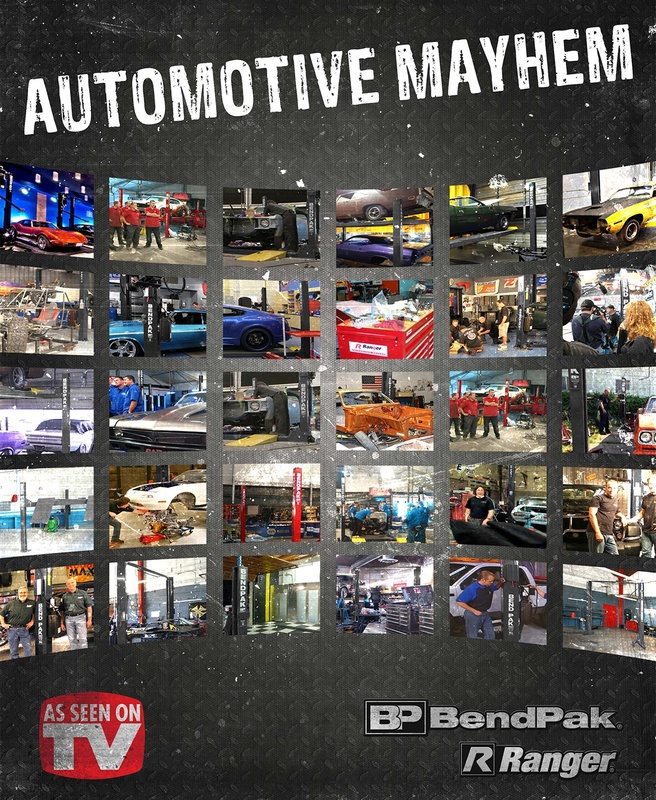 When some of the most popular car aficionados on the web are choosing BendPak, you know there's a reason. These folks care deeply about their image for a very good reason (it's how they make their money). So, they don't want to be seen with lower-quality equipment in their garage or have it featured in their videos. YouTuber Tavarish installed a BendPak HD-9 four-post lift and wrote an awesome review of his experience. 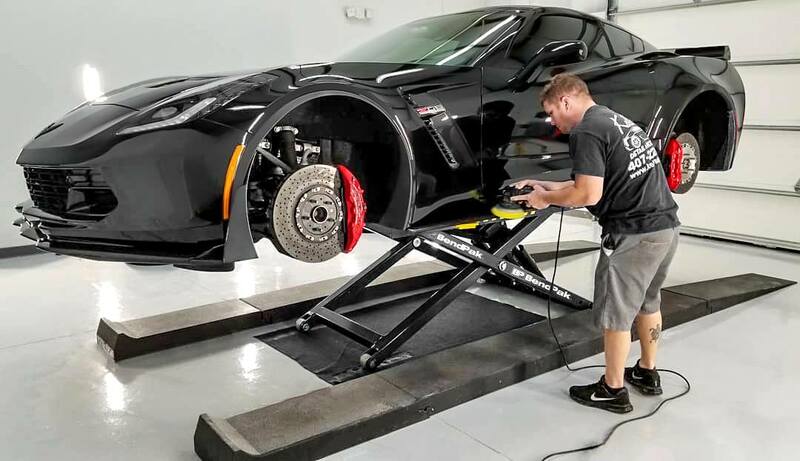 TJ Hunt, another popular mechanic, has a lot of fun but trusts BendPak for his serious lifting needs. One of the heavyweight car guys on the scene, Cleetus McFarland, loves his BendPak almost as much as he loves racing. He has host of other BendPak / Ranger equipment, including a spray wash cabinet and Autostacker parking lift. EricTheCarGuy is yet another established DIY'er and was ecstatic when he got his XPR-10AS-LP two-post lift, and Tom's Turbo Garage is a proud recipient of a BendPak lift of his own. The list goes on. In addition to the web-based reviews and endorsements BendPak receives, our TV community is simply unrivaled by any other lift manufacturer. The best car lift reviews always go to BendPak, and for proof, just check out our exhaustive list of celebrity endorsements. 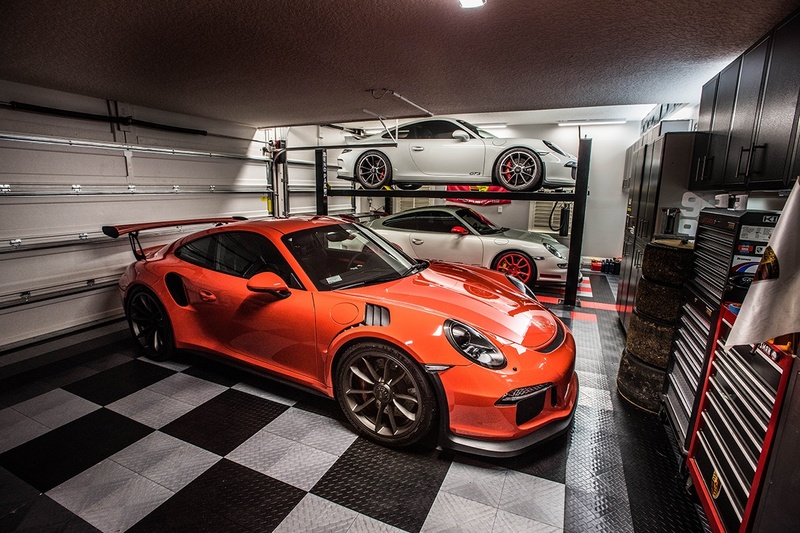 We're also featured in prominent garages and businesses worldwide. When the big stars endorse a company like BendPak, they put their reputation on the line, and so do we. The fact we've been chosen by more nationally televised auto shows than any other lift brand tells you something. BendPak is an industry juggernaut and unrivaled master of the craft. It's probably obvious by now that BendPak gets the best car lift reviews on the web, and we're certainly the most widely seen and owned. We're not just popular, we're the best! If you have questions about why that is, all you have to do is reach out to us directly, or ask anything on a forum or YouTube comment thread. You're sure to get a quality response in no time. Happy lift hunting!